Those of you following my #TrainWithJim series on Twitter and Instagram, as well as on JimStoppani.com, may recall the DeLorme ascending-pyramid technique. This pyramid showed up on Day 7 in my Circuit Maximus program, which is currently free for anyone to view on JimStoppani.com. I design new full-body programs like this just about every week and publish them on JimStoppani.com, as well as my Facebook and Instagram. I call this my "Train with Jim" series. 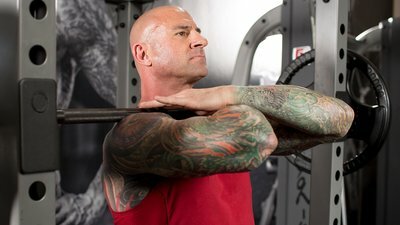 Become a member of JimStoppani.com and you'll have access to my entire "Train with Jim" program archive, which now includes more than 25 total programs…and counting!